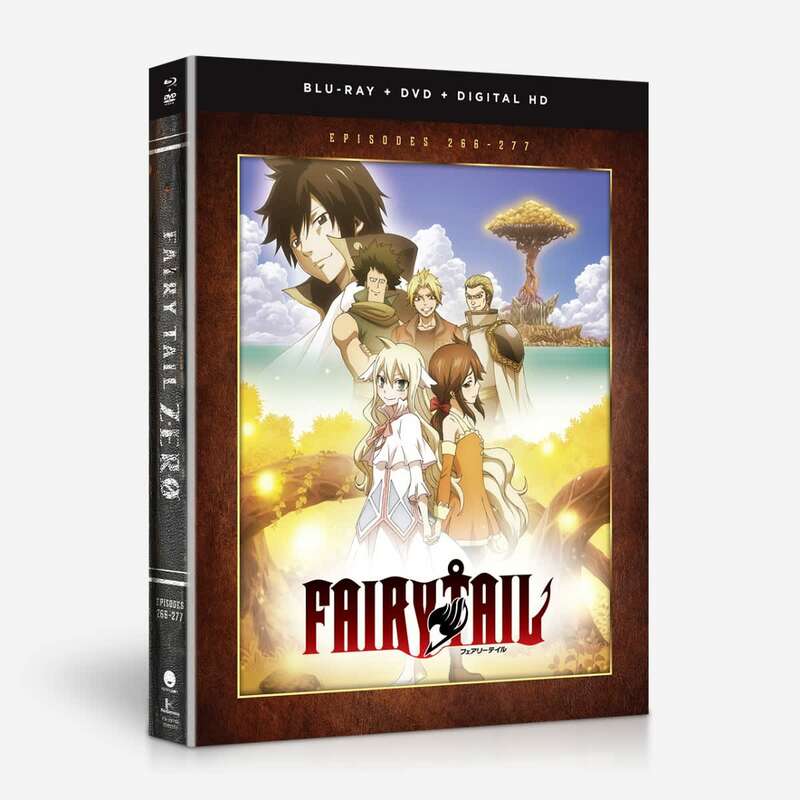 Fairy Tail Zero contains episodes 266-277. Every story has its start, every guild its beginning. Long before the Fairy Tail guild, there was a girl with a dream and the hope for a better life. From the creator of Fairy Tail comes the exciting prequel! Life in the Red Lizard guild is a challenge for young Mavis Vermillion. Forced into servitude, she suffers constant abuse and struggles to survive. Yet despite everything, she refuses to give up hope or to even shed a tear. But when they’re suddenly raided by the Blue Skull guild, everything changes. 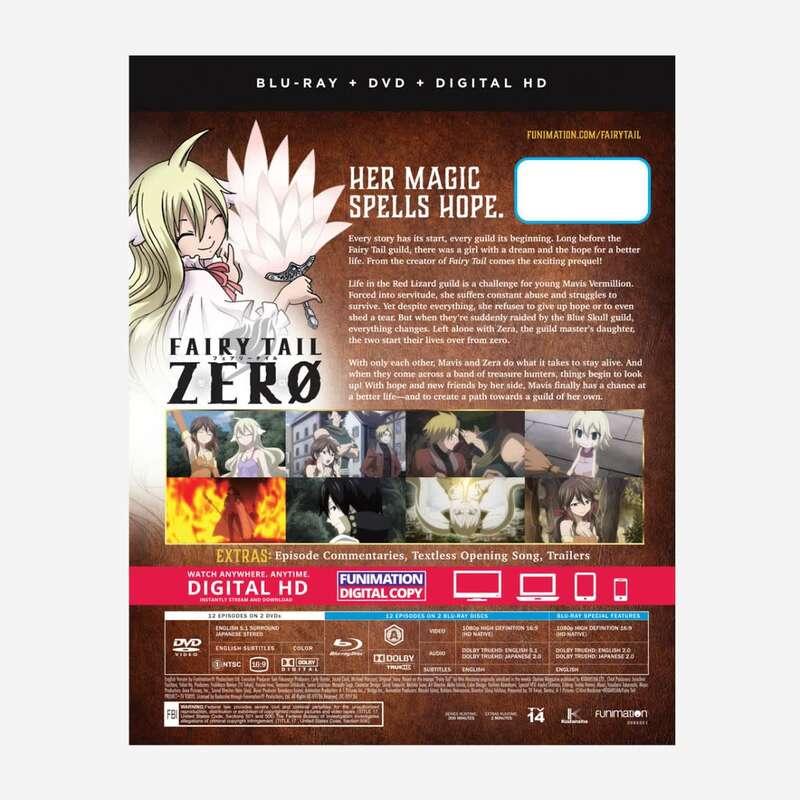 Left alone with Zera, the guild master’s daughter, the two start their lives over from zero. With only each other, Mavis and Zera do what it takes to stay alive. And when they come across a band of treasure hunters, things begin to look up! With hope and new friends by her side, Mavis finally has a chance at a better life—and to create a path towards a guild of her own. Special Features: Episode Commentaries, Textless Opening Song, Trailers.